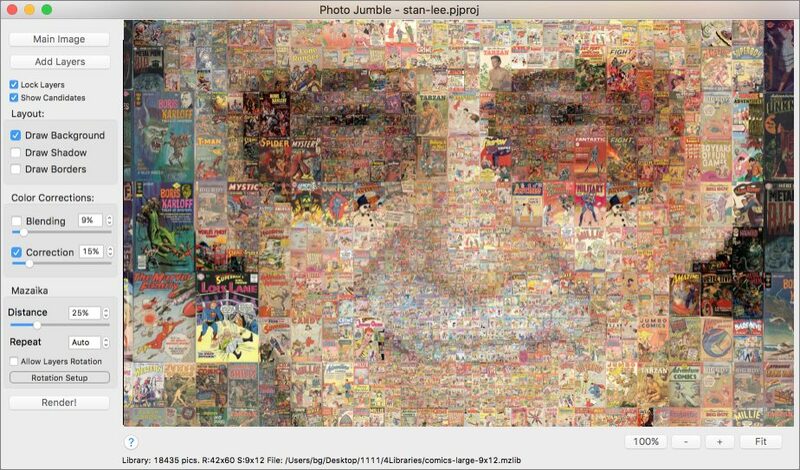 Photo Jumble is a photo mosaic and photo collage software. 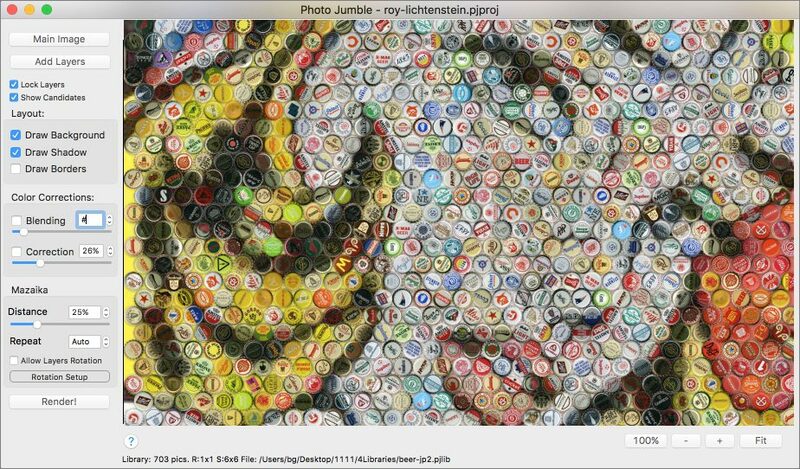 Create impressive photo compositions with Photo Jumble! You can add a touch of reality to your composition and enhance layers with shadows. Another option to enhance the layers is to add borders. See Photo Jumble picture gallery that will give you a general impression what this program about and will give you some ideas about how you may use it. 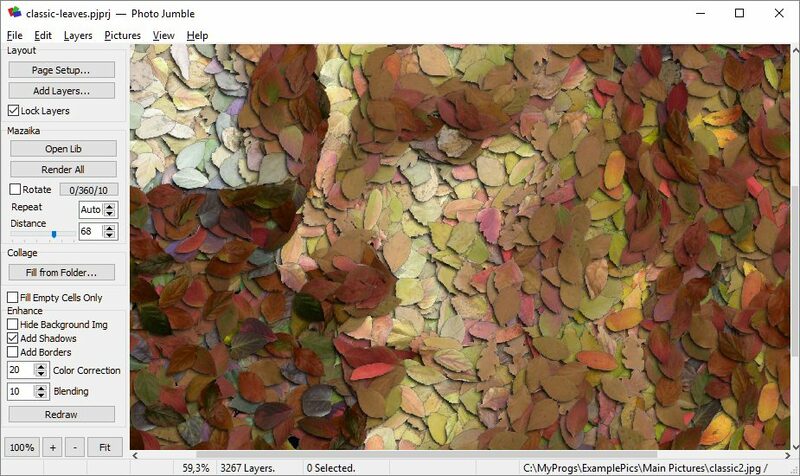 We have two programs for photo mosaic: Mazaika and Photo Jumble. While both programs may give you similar results they have different workflows. 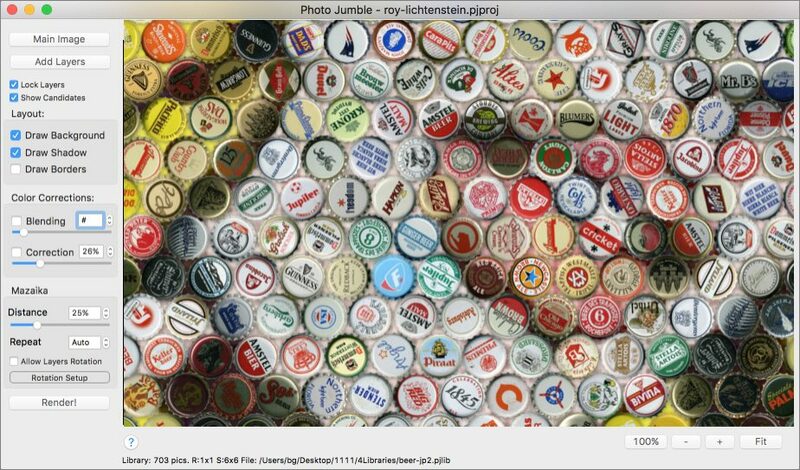 Photo Jumble has more settings to control and allow you absolute control over your collage. If you want mosaic with regular rectangular cells Mazaika will do it for you fast and easy because Mazaika was designed to produce regular rectangular mosaics. 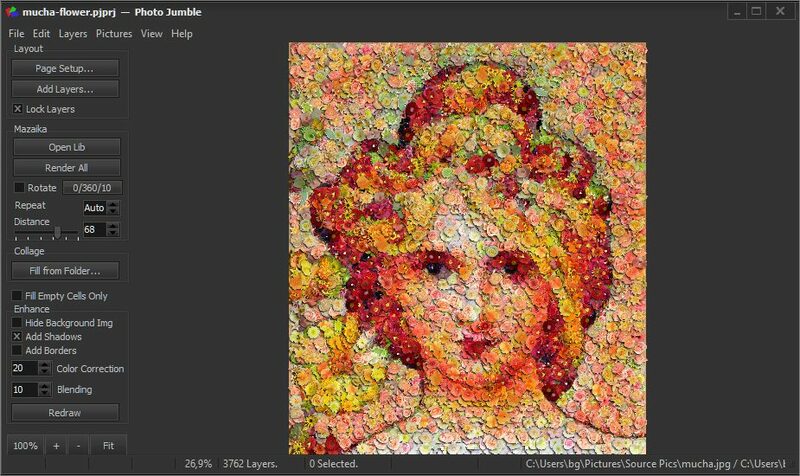 With Photo Jumble you'll get the same mosaic by spending few more efforts because you'll have to configure Photo Jumble for regular rectangular mosaic layers. On the other hand, if you want mosaic with irregular or non-rectangular cells you'll be unable to make this type of mosaic with Mazaika. 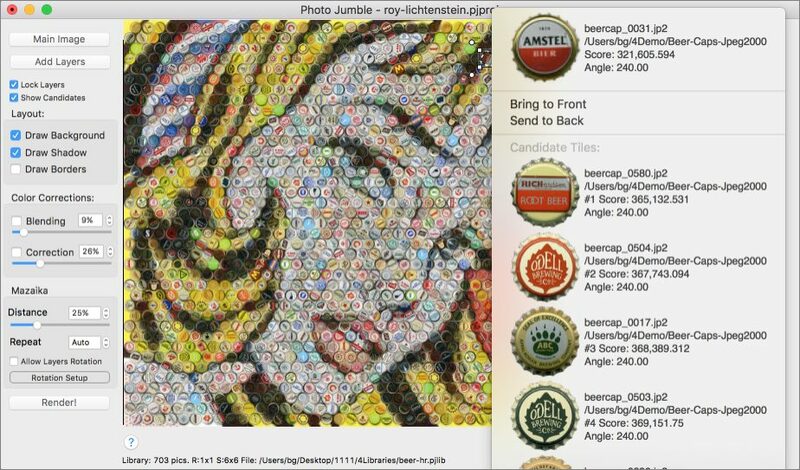 With Photo Jumble you'll spend the same efforts and will make an irregular mosaic. 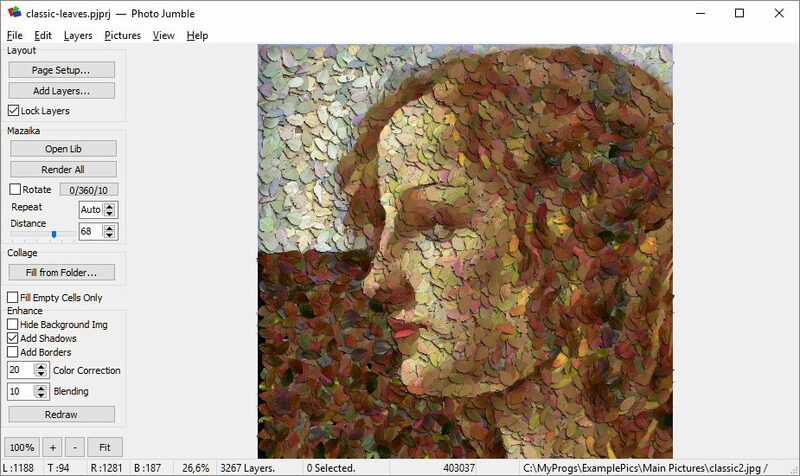 Photo Jumble is a much more "universal" or "complex" program, while Mazaika is quite straightforward. If you're going to make a number of photo mosaics in the shortest time - it's a job for Mazaika. 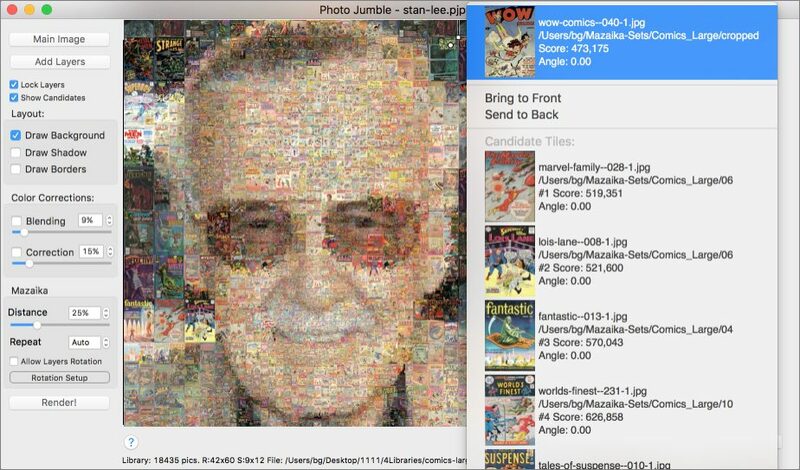 If you have some time before the deadline and like to experiment with different mosaic designs - Photo Jumble is for you. Still not sure what's better? Get Mazaika Imaging Suite! 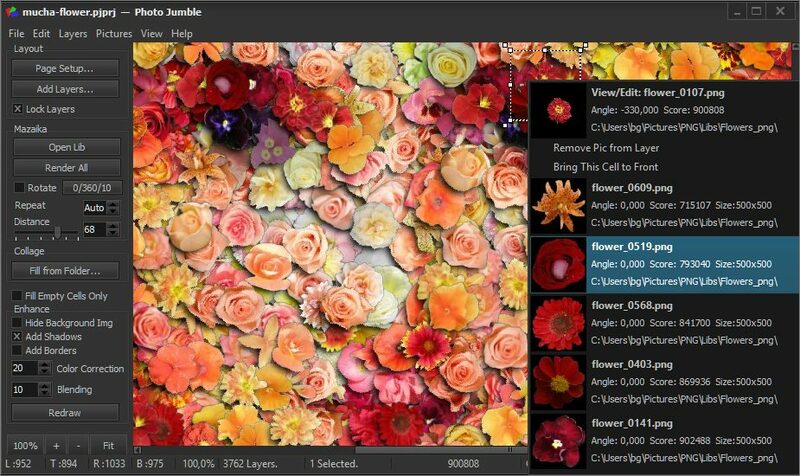 You'll have both Mazaika and Photo Jumble for making mosaic and get also very handy Click 2 Crop photo editor that helps you to prepare images for tiles.